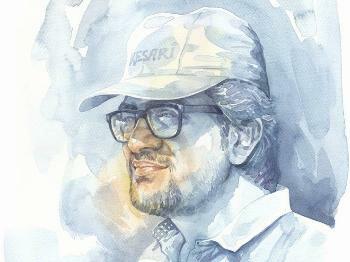 "An established artist, Vikrant Shitole is best known for his watercolours. He is a graduate in fine arts with merit from Mumbai University. He paints with various styles, mediums and techniques – adopting the best suitable feature to reproduce on paper what he sees in person. Most of his achievements till now have been in fluid medium of watercolors and genre of landscapes.